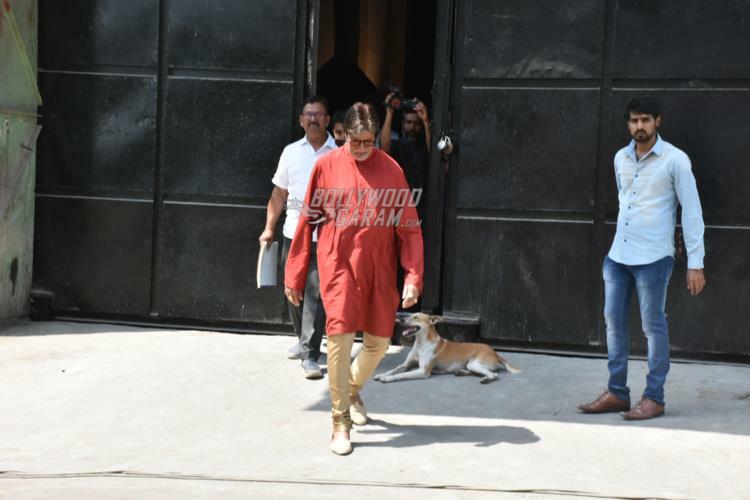 Superstar Amitabh Bachchan, who was recently shooting for the film Thugs of Hindostan, was snapped at a popular film studio in Mumbai on April 16, 2018. 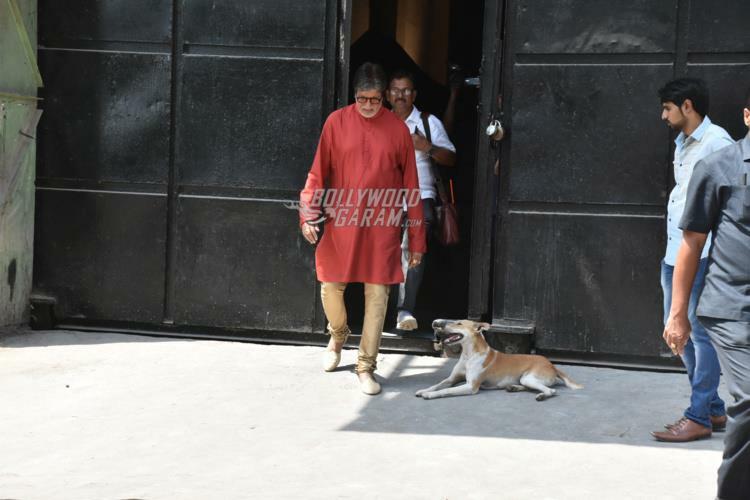 The Black actor shot for a commercial at the film studio and was snapped walking towards his vanity van. 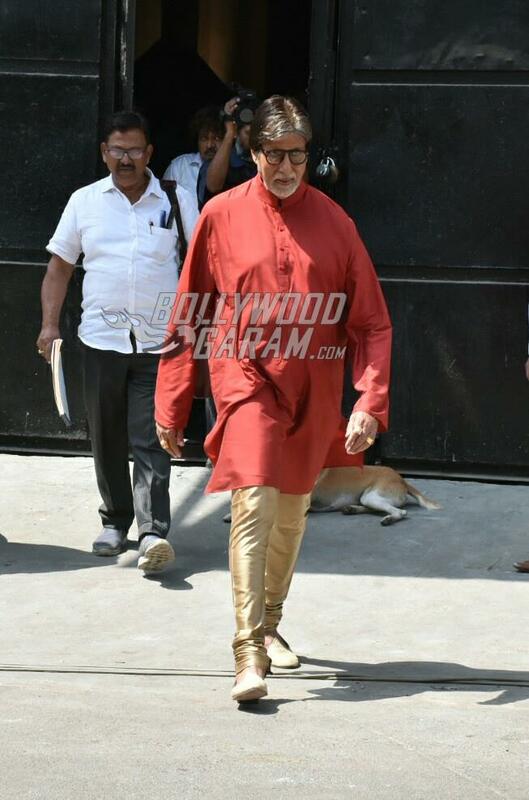 Mr. Amitabh was seen donning traditional red kurta and a golden pyjama with a pair of golden mojris. 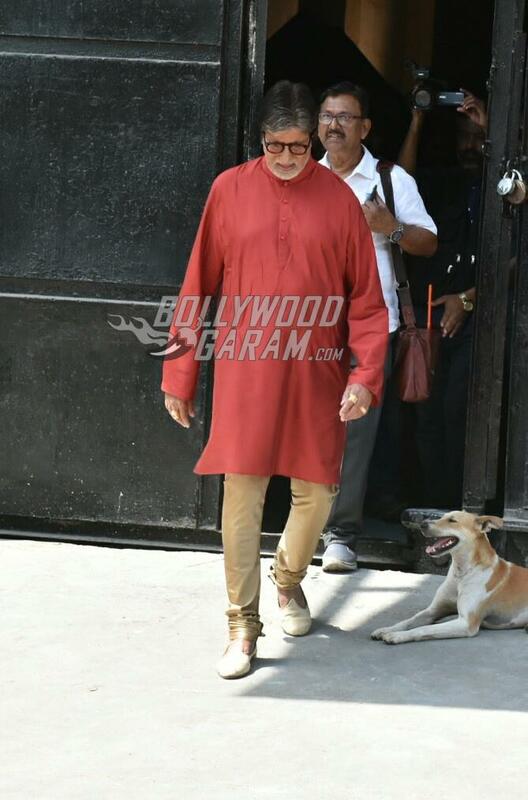 On the work front, the superstar will be seen in the upcoming film 102 Not Out. 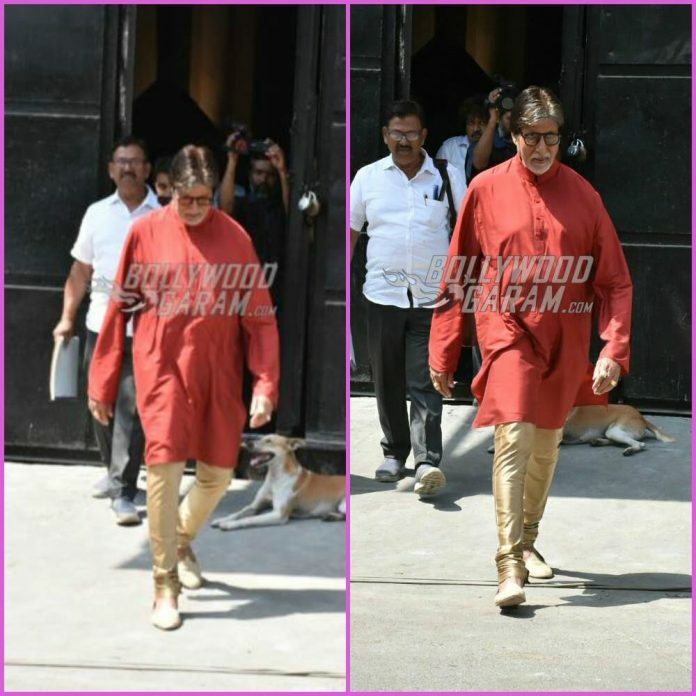 Amitabh will be seen playing the role of a 102 year old man and co-star Rishi Kapoor will be seen playing the role of his 75 year old son. 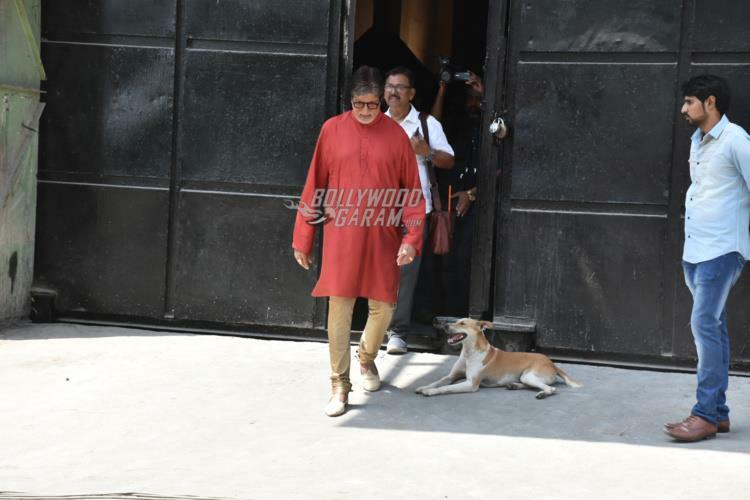 The makers recently released a song with the title Badumbaa written by Amitabh Bhattacharya and was conceptualized on the last day of the film’s shoot. 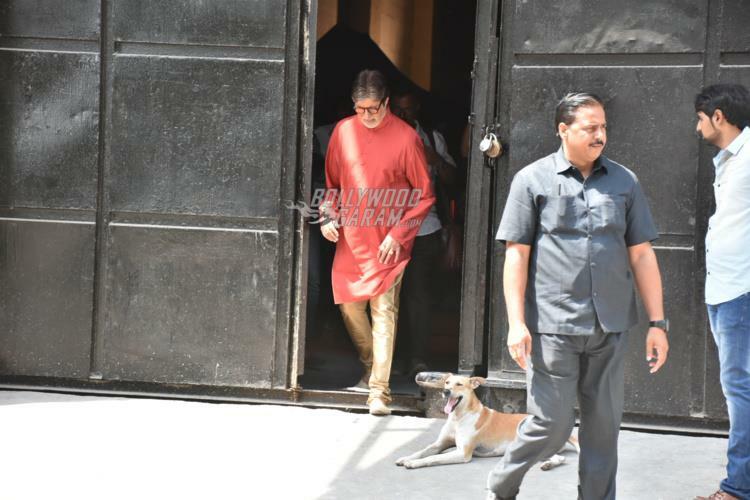 Mr. Bachchan has composed it and Rishi Kapoor has crooned the song. The film is based on the Gujarati play with the same title and will be released in theatres on May 4, 2018.